It’s been said that farming, specifically dairy farming, gets in your blood and it’s hard to get it out. For us, that is completely true. Louie Carlton started the dairy in 1946, and we have milked cows every day since. The result is a third generation - and counting! - dairy farm with every family member contributing in one way or another to the farm’s survival and success. 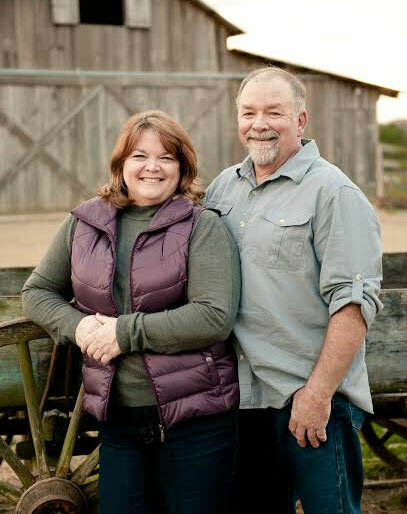 Bobby and Gayla, the owners of Carlton Farms, can be found doing chores around the farm daily. 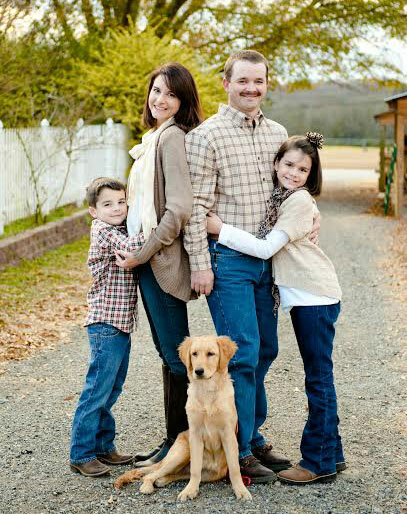 They have three children; Chad, Brad, and Brooke; who are all involved with the farm operation. 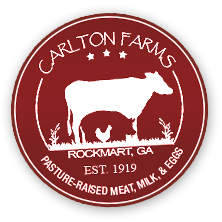 Faming can be a fickle business, but Bobby and Gayla have shown the necessary tenacity and creativity to guide Carlton Farms through the tough times. 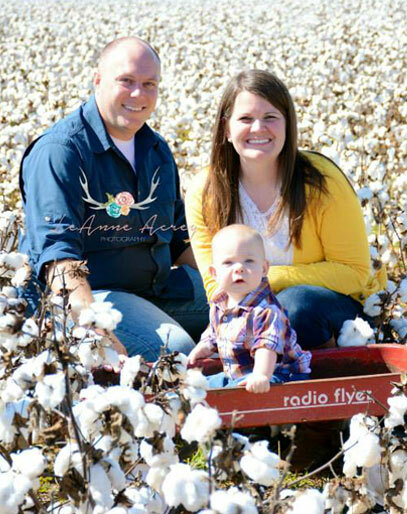 Chad has a degree in Animal Science and Business, working full time on the farm and is responsible for Atlanta deliveries and production of beef, pork and eggs. While Chad’s wife, Julie, has off-farm employment, she still enjoys getting her hands dirty on the farm when possible. They have three children: Jersey, Atticus, and Wren. Jersey loves all things nature, while Atticus loves tractors and combines. 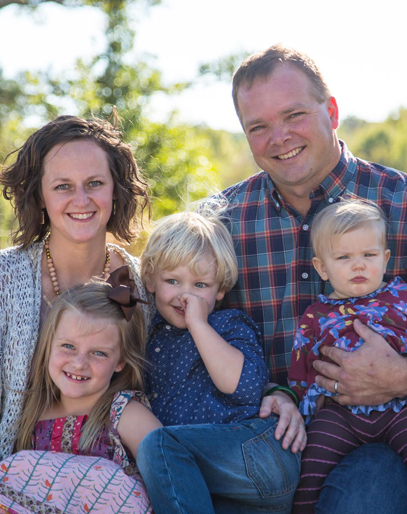 Brad has a degree in dairy management from Utah State and is responsible for the day-to-day operations of the dairy as well as all field trip and school tour scheduling. Carol is a school teacher at a local elementary school. Brad and Carol have two children, Sara and Ty, who are both great students and can be found at the dairy most weekends working on their latest project. Brooke is a nurse, but often works on the farm as well – if you have been on a field trip to Carlton Farms, Brooke may have been you’re guide. Kendall works in law enforcement with the State of Georgia. They have one child, Bax.